Easy Floor by Mohawk oak flooring exemplifies the traditional American hardwood flooring without the mess of traditional installation. It's as simple as align, click and press. No glue, no nails, no mess. Scotch guard protector advanced repel technology works around the clock to keep most dirt, germs, stains and spills from adhering to your hardwood floor. Even paint, nail polish or permanent marker can be erased with a soft cloth. Floors will look newer longer. No added urea formaldehyde. Our patented pure bond technology means lower formaldehyde emissions that may contribute to better indoor air quality. In turn, your floor will have the floor score and AHMI seals of approval. Oak Winchester is a traditional oak color that will fit with any decor from traditional to mid-century. The rich stain enhances the strong graining lines within the oak species of wood. 23.5 sq. ft. per case and case weight: 33.33 lb. 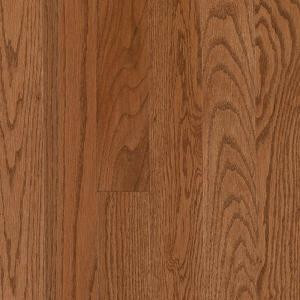 Buy online Mohawk Oak Winchester 3/8 in. Thick x 3.25 in. Wide x Random Length Click Hardwood Flooring (23.5 sq. ft. / case) HGO43-62, leave review and share Your friends.